Earlier in March, Microsoft made an update in its Windows Certification Newsletter that stipulates among others the “requirement to create a consistent minimum resolution of 1024 x 768 at a depth of 32 bits across all Windows 8 system form factors.” Despite this relaxation of the minimum resolution for Windows 8, Microsoft noted that they are not encouraging the use of lower resolution among partners, taking into account that customers are increasingly looking for higher resolutions as an essential component of a much better Windows experience. The company offered, however, that a flexibility in resolutions requirements can be of great help to partners who are exploring the viability of creating specific products for certain markets. 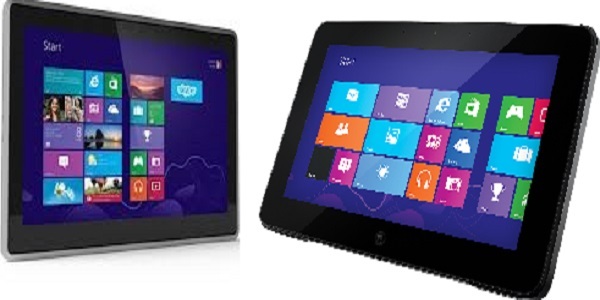 Some analysts in the industry consider Microsoft’s move as a step towards a Windows 8 7-inch tablets. CNET’s Lance Whitney, for instance, have rightly observed that the change in the company’s Windows 8 resolutions requirement is a smart strategy that comes amidst the popularity and demand among consumers for 7-inch tablets. On what grounds can Microsoft’s move be taken as such? Typically, tablets that have screens bigger than 7 inches also come at a resolution higher than 1024×768. On the other hand, smaller tablets also come at a lower resolutions, such as Google’s Nexus which comes at 1280×800. Kindle Fire from Amazon is also offered in the same resolution while that of Apple’s iPad is in 1024×768. Considering the foregoing facts, Whitman observes that Microsoft might be trying to create a market niche for smaller Windows 8 tablets. This conclusion can be taken from the fact that smaller Android tablets, most notably Amazon’s Kindle Fire and Google’s Nexus, have consistently pushed Google’s mobile OS to have a fair share in the 7-inch tablet market, drawing attention away from Apple’s iPad which by itself stole sales away from its larger Retina Display counterpart. With this scenario on hand, Whitman avers, it is about time for Microsoft to claim its slice in the 7-inch tablet market. As per Windows Certification Newsletter, a resolution of 1024×768 would disable the snap feature, which allows users to view two Windows Store apps simultaneously side by side. To avoid customer disappointment, Microsoft requires vendors of 1024×768 Windows 8 tablet to disclose to buyers the loss of snap by providing “appropriate, clear, and conspicuous disclaimers that customers can see before they buy their PCs.” A solution to this concern may come soon. In a report, The Verge noted that a leaked build of Microsoft’s Windows Blue reveals that the company is taking steps to let Snap View support 1024×768, allowing users to experience 50/50 snap view.